The Communication Sciences Lab is directed by Beatrice Beebe, PhD. Our research focuses on the microanalysis of mother-infant communication, risk and resilience, and developmental outcomes. Our clinical focus is on primary prevention in mother-infant dyads at risk for dysregulated social development. 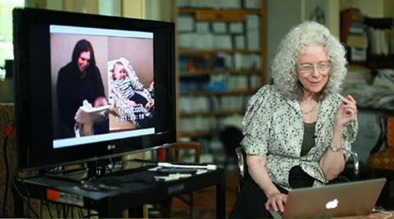 Video and audio microanalysis of mother-infant behavior has been the focus of the lab for four decades. This precise coding, together with sophisticated statistical methods of multi-level time-series analysis, functions like a social microscope. We identify different self- and interactive regulation patterns of contingent relating, including mother and infant patterns of coordinating vocal rhythms, looking and looking away, facial expressions, vocal affect, orientation, and touch. These patterns have predicted infant one-year attachment in two large community cohorts.